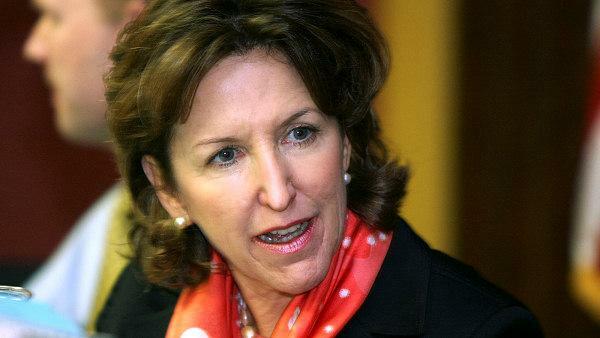 NC’s rightward turn could be a boon for Kay Hagan? The legislative session that just ended in North Carolina was a conservative bonanza — and Tar Heel State Democrats think that may be just what Sen. Kay Hagan needed to save her seat. Next fall, Hagan (D-N.C.) will defend her seat in a Republican-controlled red state that narrowly went to Mitt Romney in 2012. The state’s Democrats are betting that the recent actions of the state Legislature will be perceived as overreach, helping out Hagan: Tougher abortion restrictions, broader conceal-carry powers and more stringent voter ID requirements all passed out of the statehouse following a busy and controversial session of the state Legislature. Democrats are eager to tie the eventual Republican challenger to the statehouse — especially if House Speaker Thom Tillis receives the nomination. Along with Democratic-held seats in the red states of Alaska, Louisiana and Arkansas, Hagan’s spot is considered a top pickup opportunity for Republicans, who need six more senators to take control of the upper chamber. But Democrats note that North Carolina isn’t as deeply red as other places with competitive races, arguing that Romney barely won the state in 2012 and noting that President Barack Obama took the state in 2008. If they can paint the North Carolina GOP as being too extreme, the thinking goes, they can garner enough centrist votes to keep a hold on the Senate seat. “Any Senate race is going to be a bit of a fight, but three months ago, I would have thought it was going to be a lot tougher than it is now,” longtime Democratic strategist Thomas Mills told POLITICO. On Monday night, Republican Gov. Pat McCrory signed a controversial abortion bill that critics charge would restrict access to the procedure; supporters say it bolsters clinic standards. He also approved a gun bill that allows more leeway for where gun owners with conceal-carry permits can bring their weapons even as it adds more information to the state’s background checks system. The governor has also signaled that he will sign a measure that increases requirements for voting, among a bevy of other bills. Still, observers on both sides of the aisle note that Hagan needs to tread carefully. North Carolina has a more conservative electorate, and Republicans argue that if Obama couldn’t win over those voters during a devastating year for the GOP nationally, a Democratic candidate in a nonpresidential election has a tough road ahead. Tillis is among the better-known Republican contenders for the seat, and Berger, among others, could jump in the race, but Democrats are invoking the activities of the state Legislature, regardless of who scores the nomination. They say the GOP-dominated statehouse has energized a broad coalition of opposition and hope to capitalize on that enthusiasm. Democrats point to “Moral Monday” rallies — weekly protests against the state Legislature’s actions over the past several months — as one encouraging sign for 2014. On Monday, a rally in Raleigh drew 10,000 people largely protesting elements of the budget, according to organizers in news reports, though police pegged that turnout at closer to 3,000. Still, it was considered the biggest Moral Monday rally since the protests kicked off in April, reports said. On a smaller scale, Mills also pointed to an event in a “little tiny town” near Asheville that, he said, drew 450 people earlier this week. “You don’t get that kind of reaction unless people are pissed,” he said. Oh you better believe it – she has got to go. Somehow I’ve gotten on her email mailing list and the disinformation that her office sends out is astounding. I will take military leave and cast my vote in person. True conservatives have got to band together & reverse the pending liberal disaster. Hagan has got to go. She has proven to be just another body taking up space in Washington serving her on special interests and not the people. She has got to go.. Voter ID is a good thing you have to have it for every other thing why not for voting? Also she side with Obama on the fun control issue .. Trust me we will replace her..Period..